As we turn the corner and head into fall, those of us with fall calving cows will be getting ready for the new arrivals and weaning those spring born calves that are now six to seven months old. Weaning weights and cow breed back may be below our normal averages, so with the short grass and hay predicament we find ourselves facing, making sure we are wintering productive cows is a must if we are to remain viable or at the least, minimize our losses. Around our place, we have been identifying cows with any kind of problem for elimination from our herd. That may be age, udder problems, condition, disposition, extremely hard-doing cows and those cows producing calves that don’t meet our criteria. Pregnancy testing our cows is probably at the top of our list for cows to cull. With winter supplementation topping our list of annual cow maintenance costs, keeping only cows that have a positive economic impact for us is extremely important. While annual cow cost per year varies greatly among producers, it’s bound to be $500 or more per cow and more per calf weaned. 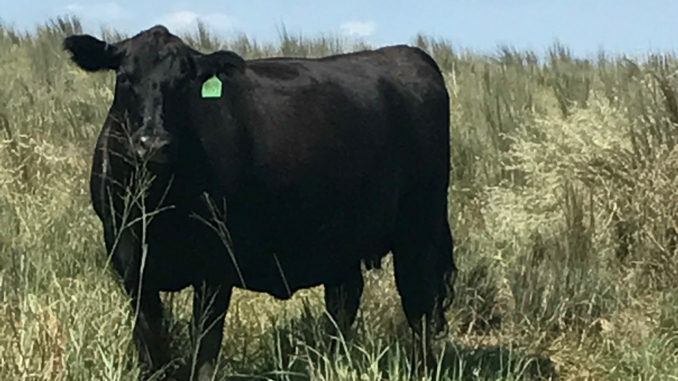 If you have a weaning rate of 90 percent, which is above the average for most ranches, which is 86 percent, you have a cost of $555 in each calf sold. And, depending on your accountant, you may not want to actually know what it cost you on an annual basis to maintain each cow. To read more pick up a copy of the September 2018 NTFR issue. To subscribe call 940-872-5922.